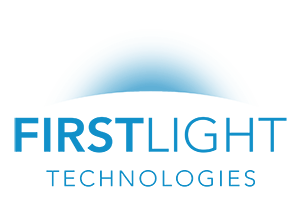 First Light’s outdoor lighting products are engineered to be the simplest and most reliable commercial grade solution for lighting outdoor spaces. Solar power frees our customers from the cost and hassle of connecting electrical wires, making installation much easier. Intelligent features and robust design optimize light output in fixtures that look just like wired lights. Asymmetrical rectilinear design smartly complements modern outdoor spaces and provides wide area light. Ideal applications: Pedestrian pathways, bike pathways, playgrounds, parks, campuses, transit stations, and more. Architectural shoe box style design fixture that provides wide area light for a host of commercial and pedestrian scale lighting applications. Ideal applications: Pedestrian pathways, multi-use trails, bikeways, sidewalks, playgrounds, parks, campuses, bus stops, perimeter, area security and more. 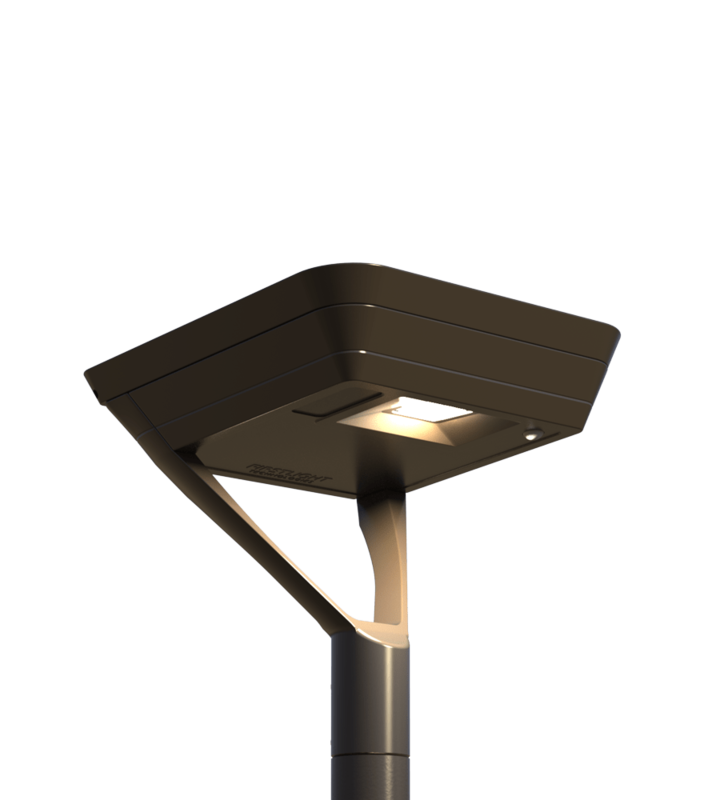 The SCL2 is a high output luminaire in a shoe box style that is the most compact solar fixture ever made for wide area lighting and parking lot applications. Ideal applications: Parking lots, site and area lighting, perimeter security, residential streets and more. 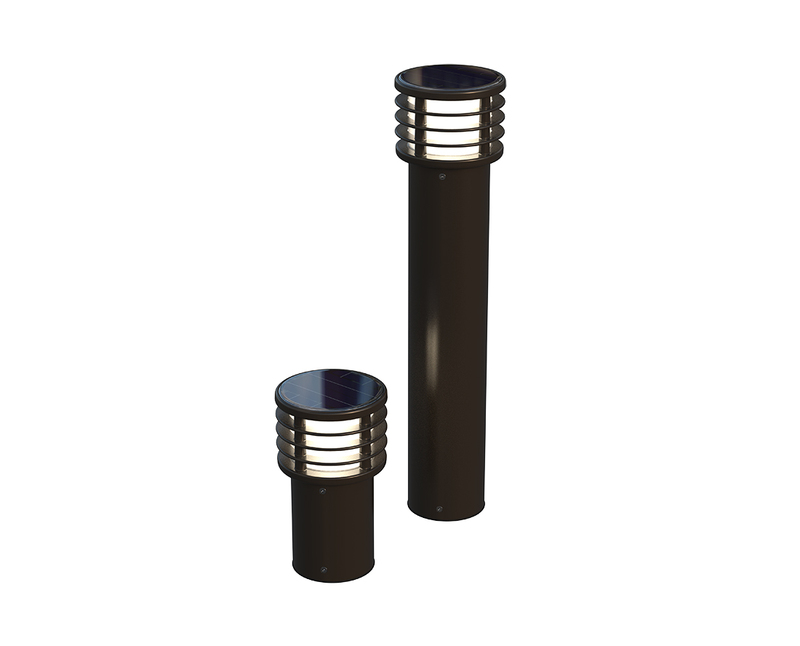 Contemporary style bollard with downward, cutoff lighting for effective ground level illumination. Ideal applications: pedestrian pathways, parks, retail storefronts, schools, traffic control, and more. 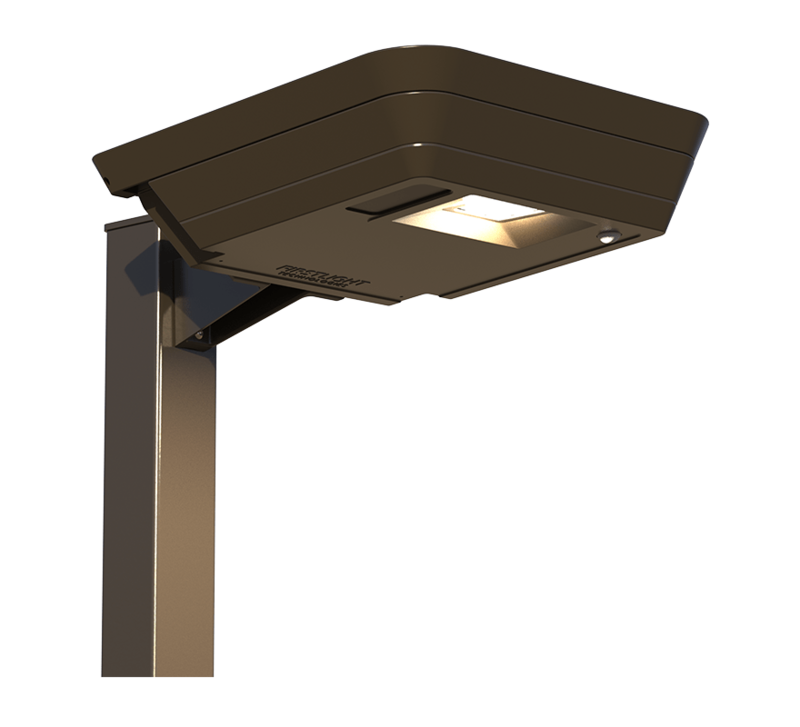 Familiar louvered design and highly visible, unshielded fixture that adds broad, ambient lighting to any location. Ideal applications: Wayfinding/delineation applications, pedestrian pathways, parks, retail storefronts, schools, traffic control, and more. The most efficient bollard for ground level illumination on the market. Ideal applications: New and retrofit wired applications, pathways, multi-use trails, plazas, retail storefronts, schools, parks, and more. When it comes to pedestrian scale outdoor lighting, one of the first decisions is whether a bollard or luminarie is more appropriate for the job. 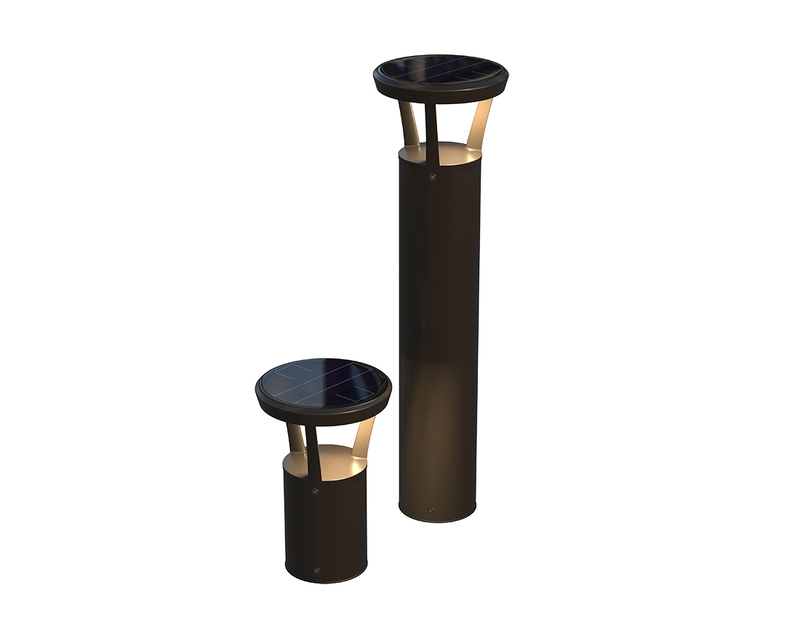 Bollards are great for adding structure to large public spaces and to help with wayfinding. 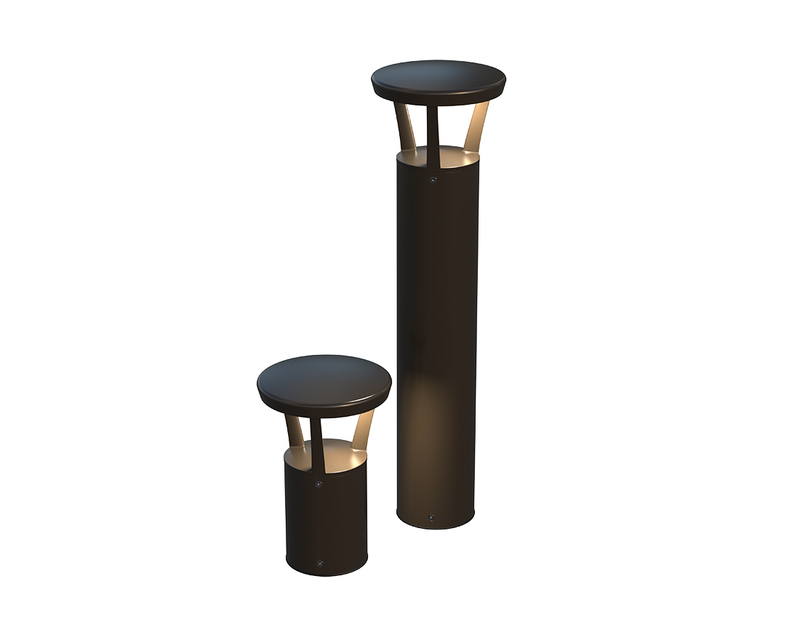 The lower mounting heights reduce visual clutter compared to pole mounted lighting, making them very popular for public pathways and plazas. They can also create unique light patterns on the ground with low glare as an added design effect while enhancing the ambiance of nighttime public spaces. 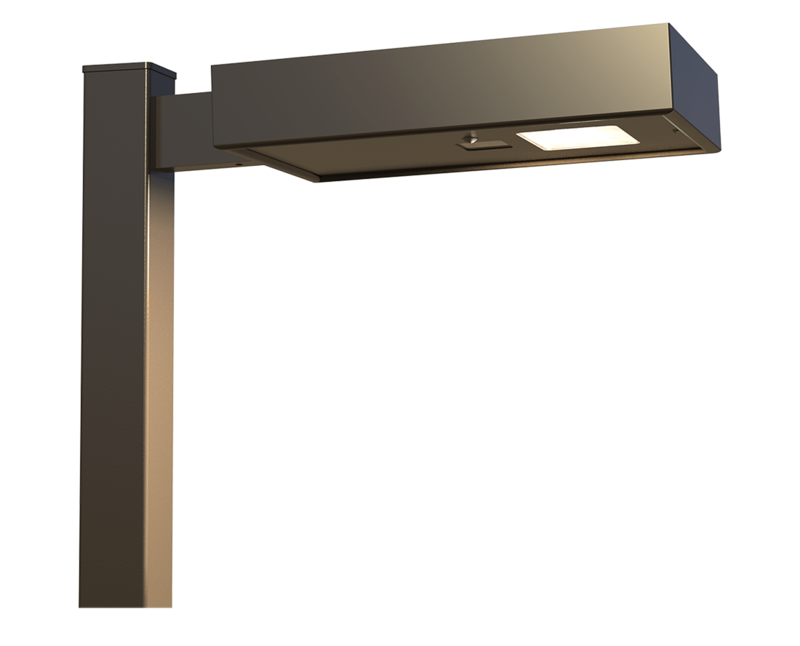 Luminaires are designed to provide more illumination and improved security for larger public spaces. They are most often mounted at the top or side of poles at a variety of heights for more uniform light over a wider area. They are popular for pathways, parking lots and other areas that require more light than bollards would provide.